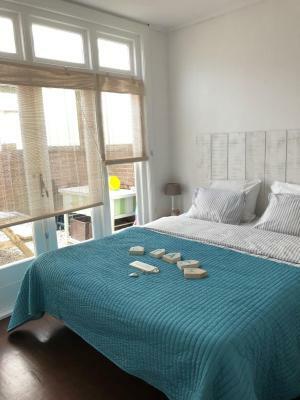 Lock in a great price for B&B Zandvoort – rated 8.7 by recent guests! The breakfast was brought to my room. It was a nice variety of things like Jam, pate peanut butter, bread. cheese, but I could not eat the sweet stuff because I am diabetic. 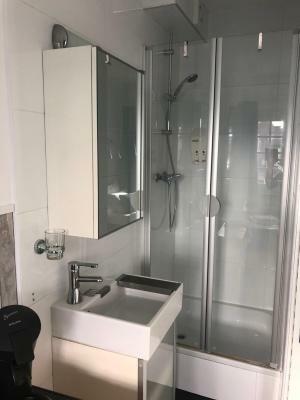 Lovely, very clean apartment. 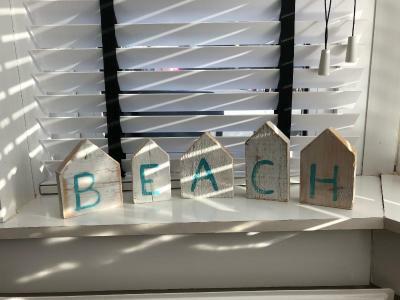 Super location, close to the beach with lovely city walk. Close distance by car to the Amsterdam. The room was very clean and welcoming, the bed was comfortable and the shower facilities were good. The host was very welcoming and the price very reasonable. I would happily stay there again. I'm sure the breakfast would have been good too if I had managed to wake up in time. 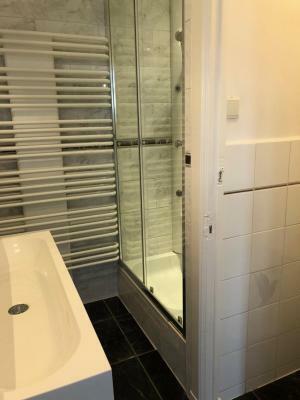 very good welcoming, helpful, the single room was small but very functionally conceived with a shower built in. 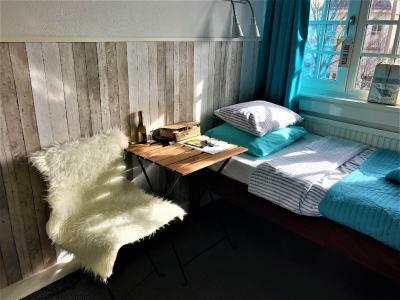 Also a clever concept of breakfast, served hung outside of the room door in a basket at a regular time in the morning, but then - since there is a coffee machine, cups and plates as well as cutlery in the room - one can have one's breakfast at any time and even split it during the day. The toilets are just close to the room and exclusively for it. I also liked the central location of the B&B. Very close to the town centre. Good value for money. 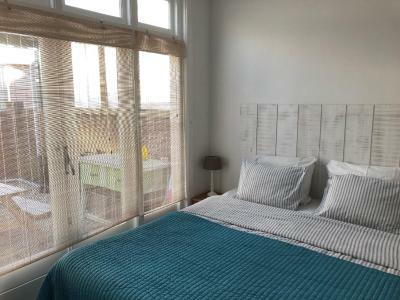 Very near to the beach and centrum.friedly owner.free parking. Small room but without missing anything. Near to keuckenhof gardens by car which shouldn be missed. It was very clean and it was nicely decorated. 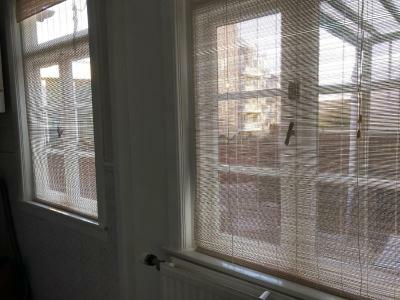 The apartement had curtions to darken the room. The location of the B&B is great. Close to downtown and the beach. There was parking during the stay at the B&B. The breakfast was okay. Nothing special, but you get something in your belly. 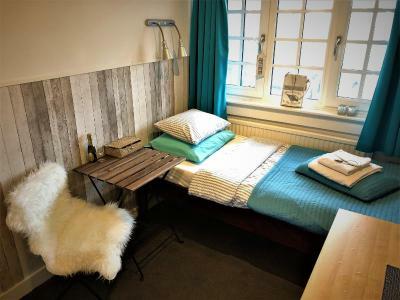 The room is small but beautiful and confortable. The host is very nice. The house is pretty close to the city center, the beach and the dunes park. The wifi is pretty good. 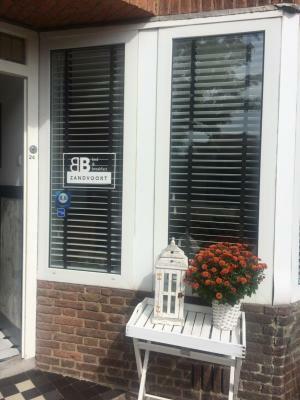 This stylish bed and breakfast is only 1,150 feet from the center of Zandvoort and just over a 5-minute walk from the beach. 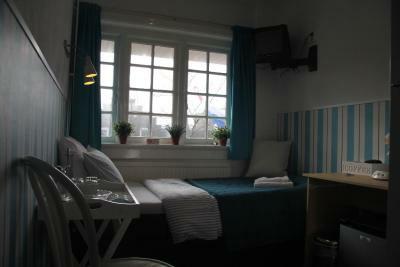 B&B Zandvoort offers accommodations with free Wi-Fi. 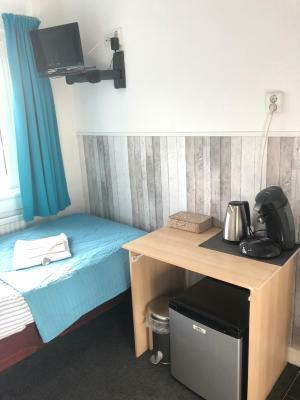 All of the individually decorated rooms at Zandvoort have a refrigerator, cable TV and tea and coffee making facilities. There are also apartments and studios available for short term and longer stays. 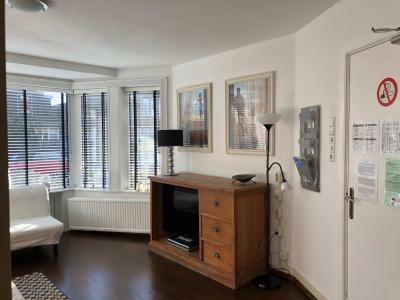 The property is a 10-minute walk from Zandvoort aan Zee Railway Station. The center of Haarlem, which features sights including the Frans Hals Museum, is just over 20 minutes away by car. A French breakfast is offered to your room or studio and consists of sweet spreads, Dutch cheese, orange juice, a croissant and a baguette. B&B Zandvoort will hang the breakfast on your door at 08:30. 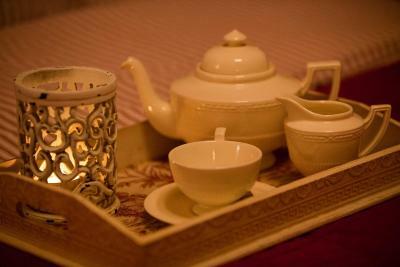 There is also a variety of cafes and restaurants in the direct surroundings of the bed and breakfast. Guests will be asked to make a prepayment by the hotel via email. 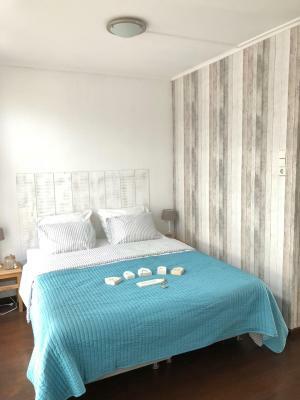 뀐 Located in the top-rated area in Zandvoort, this property has an excellent location score of 9.1! 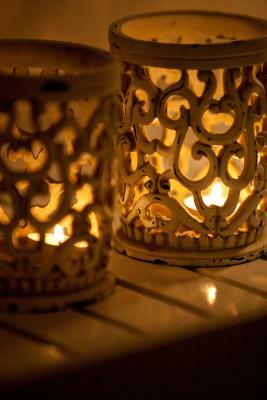 When would you like to stay at B&B Zandvoort? This room has a large bathroom and a kitchenette with a tea/coffee maker. 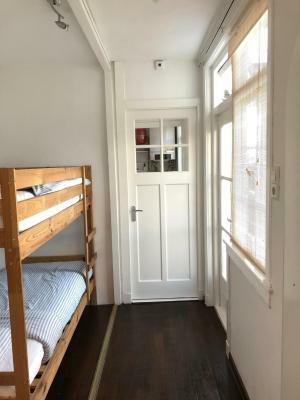 There is a double bed and a single sleep sofa in the room. Please note that this studio is located on the second floor and can only be reached by steep stairs. 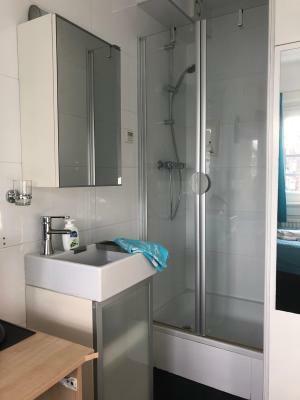 Facilities: There is a dryer next to the washing machine, twin sink, massage shower head and 2 bedrooms one with bunk-bed. Small patio half covered against the sun. Includes a small, private balcony, a tea/coffee maker and a bathroom with shower. This room includes a private bathroom next to the room. 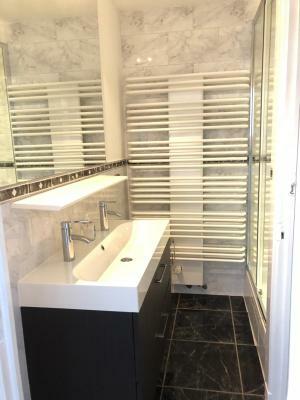 This studio has a private bathroom with shower and a private kitchen with a coffee maker. 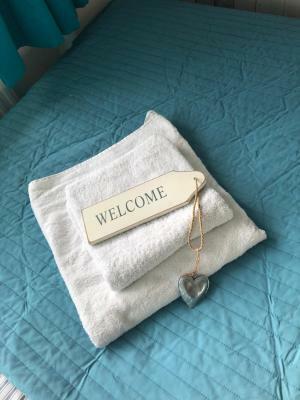 House Rules B&B Zandvoort takes special requests – add in the next step! ATM card Debit card B&amp;B Zandvoort accepts these cards and reserves the right to temporarily hold an amount prior to arrival. B&B Zandvoort accepts these cards and reserves the right to temporarily hold an amount prior to arrival. Please note that the B&B only accepts cash on site. Pre-payment can be done via bank transfer or credit card via Paypal. Please contact the property for more information. Please note that this property has no reception. Guests are kindly requested to contact the hotel by mobile phone 15 minutes before their arrival. Someone will arrive to meet guests at the property within 10 minutes. Guests are kindly requested to inform the hotel one week in advance of their estimated time of arrival. This can be noted in the Comments Box during booking or by contacting the hotel/property using the contact details found on the booking confirmation. Please note that breakfast is not included for the apartment. Please note that after booking the property owner will contact you with more information regarding the payment of the first night. Please inform B&B Zandvoort of your expected arrival time in advance. You can use the Special Requests box when booking, or contact the property directly using the contact details in your confirmation. There was nothing I didn't like. Nothing to complain about. It was fine. Only shadow in this portrait: neither AC nor fan at disposal (I was told that fans are not authorized in the house because of safety reason in case a fire - the fan would scatter the smoke and the smoke detector therefore would not detect it [?]). This lack of fresh air can really be a problem if there is a heat wave - and it was the case; so, either one sleeps in a sauna or one opens the window and one sleeps in the noise of the street (traffic on the cobbled street also at night, barking dogs and the noise of the seagulls, pretty numerous in Zandvoort, especially early in the morning). This with the ventilation of the room should be changed! Then everything would be perfect. There was no hair drayer in the apartement. There was no milk Or creamer for the Coffee at breakfast. The mattress was very soft in the bed as well as in the crib. The baby was not able to turn in the crib because it was that soft. There was no bathing possibbility for the baby. Even after asking the staff about a lager bowl for bathing there was no accomendating Or trying to find a solution. There was no high chair for the baby. After checking out there was no accomendating about the suitcases Or parking even so we stayed three hours longer at Zandvoort. 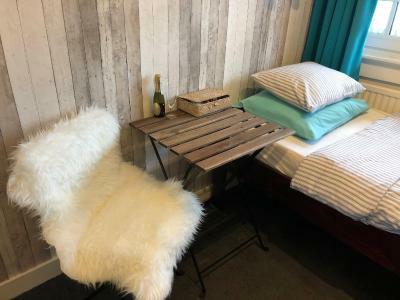 We stayed one night and paid 120 Euros, but too many things were misssing for that price. The toilets were outside of the room (but it was specified). The breakfast had to be taken into the room. Not very convenient and it was basic. There is no allocated parking space for this property, so you have to find any space available on the street by yourself. Sometimes it is not so easy. Too early check out. .10.30am!!! I loved the way my breakfast was served! Awesome weekend - great convenient location.